Size isn’t everything, except when it is! A TV quickly becomes the focus of whatever room it’s in, and this is especially so with the bigger screens that manufacturers are producing. 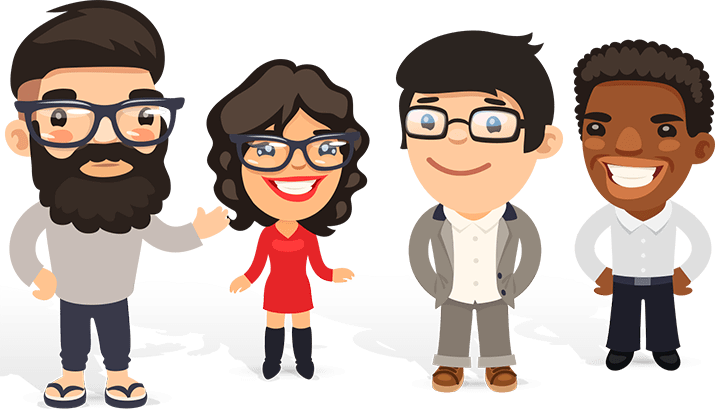 A 55″ screen enables everyone to gain from the viewing experience, even from a rooms length away, and most have wide angle technology, so even if you are sat to the side, the screen image isn’t distorted. With fashionable slimline bezels, screens seem even larger and more impressive. Movies and games become fully immersive, which, let’s face it, is what we’re after. That bit of escapism to make life more exciting, getting away from the office, family or life in general. So, let’s go for the full immersion while we test out the best selling 55″ screens. Want to go up a size? Take a look at our hottest 65 inch tv’s or get inspired with our best tv’s of the year. Sceptre’s ultra high definition TV screen is illuminated by 8 million pixels – making this smart 55 inch TV one of our all-time favorites. 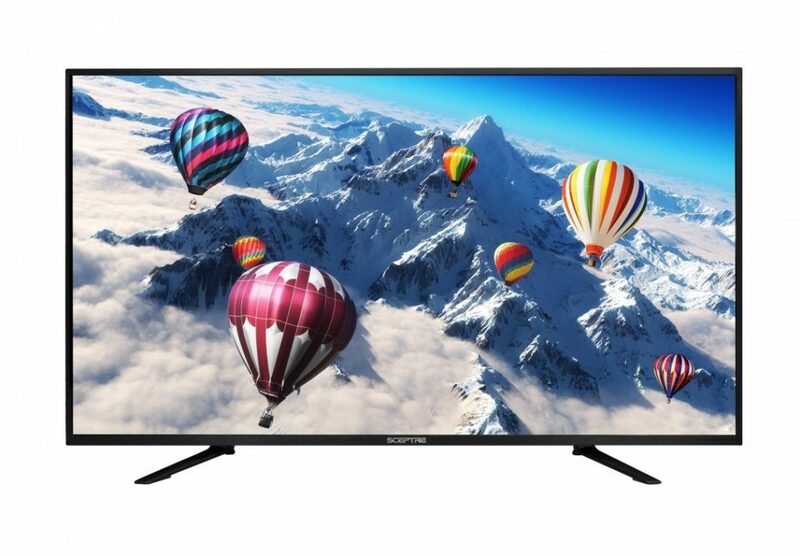 Ideal for streaming the latest movies as well as sports and gaming, this TV offers excellent value for money. The superb screen quality of this Spectre 55” TV rivals the best known manufacturers. This TV is great for streaming 4K content, proving that you don’t always have to spend more to get the best product. The 4 HDMI ports are useful for connecting up to 4 devices to the TV simultaneously, making it a solid choice for gamers. If you’re looking for a excellent screen quality and performance at an affordable price, the Spectre is the best choice. Sure, you might want to add a few extra speakers to bring out the audio depth, but for the low price of the TV – you probably won’t mind. If you want a great smart TV for a decent price, this has it all. The audio and image quality make this an impressive package. As usual with Samsung, the overall design is stylish and slick. With a slimline bezel, and thin frame, this will hang nicely on your wall; however, the stand is neat and sturdy, matching the brushed steel frame, and echoes the slickly designed frame. The cables are carefully hidden within the stand, but Samsung have thought of everything – if you decide to hang it, the cables fold away equally well into the casing. With a multitude of ports, including 4 HDMI connections and an audio jack, this is looking good, so far. 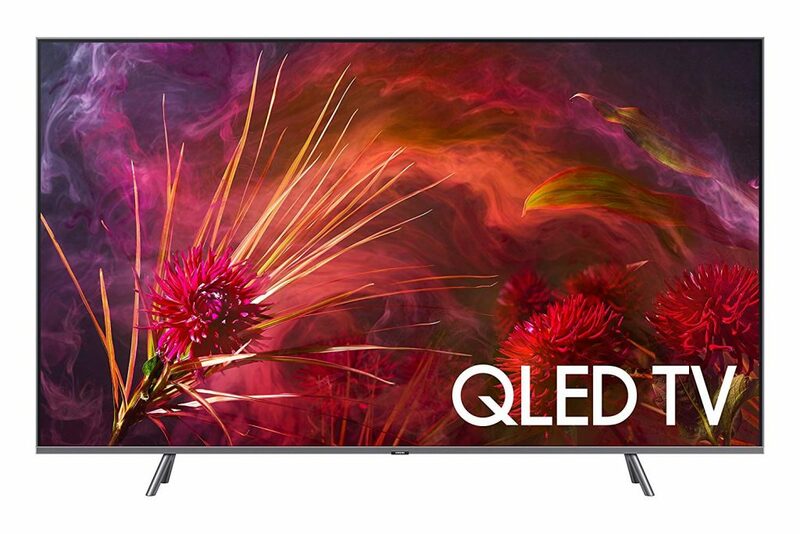 This backlit TV includes Samsung’s advanced Q Color & Contrast, which brings you deeper blacks and brighter, crisper colors using quantum dot technology. 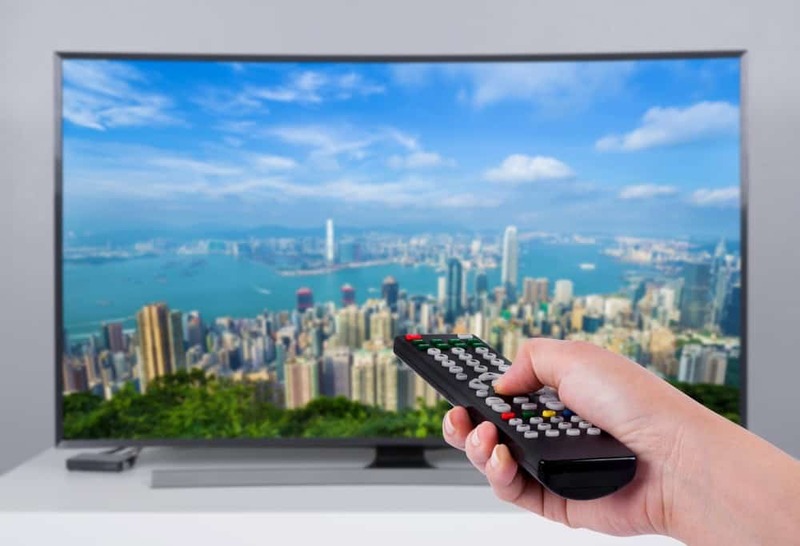 There’s more good news for us movie buffs because this TV has local dimming pro, supreme UHD dimming and Q 4K Triple black technology which can make all the difference when watching content with dark scenes. Also the 240 Hz motion rate makes the images run smoothly on the screen, enhancing both movie watching, and gaming. The audio, too, is awesome – full and round, with no jarring vibrations, even at full volume. You can share your smart phone’s screen with the TV through the mobile to TV mirroring or vice versa through the TV to mobile mirroring. You can also make the TV safe for your family due to Samsung’s V-chip which can block access to certain websites. Our only issue here is that the anti glare feature could be a bit better; however, this doesn’t detract from the all round viewing experience. Samsung have done it again - amazing picture quality, awesome features, and a performance that's easy to recommend over and over again. Whilst this TV from Insignia hasn’t got the ultra sleek style of the Toshiba or Samsung, it is very well made, and the unusual perpendicular stand supports the screen nicely. The brushed steel appearance, amount of useful ports, and the ability to be hung on the wall, is just a few of the reasons why the Insignia has earned its place on the best seller list. The color accuracy and native contrast is excellent. Clear, vivid light colors contrasted with deep, rich dark tones making the visual vibrancy very impressive. It also handles reflections well with the aid of the semi-gloss finish that defuses the glare, diminishing its intensity. The audio is great, with music, effects and voices coming across clearly, with no annoying ‘twang’. The bass was round and full bodied – just what we wanted. Whilst the sound quality is good, the volume could go higher. We added a soundbar which resolved that issue. 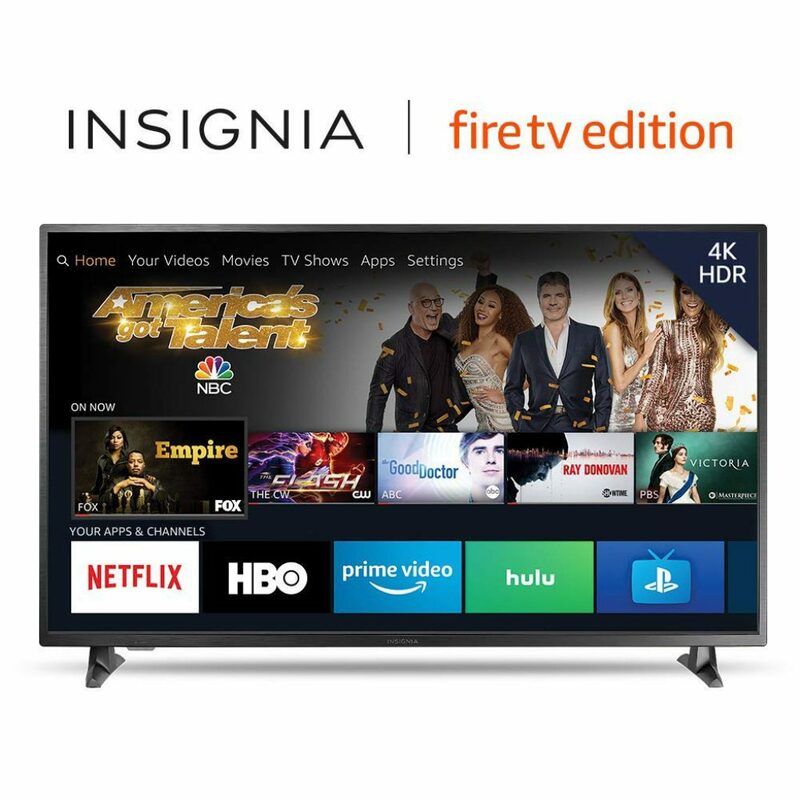 If you're looking for a competitively priced smart TV, that's Fire and Alexa enabled, and performs excellently, consider the Insignia.